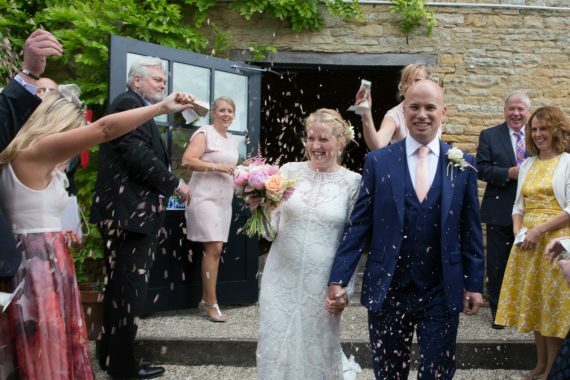 Jo and Simon’s barn wedding at Merriscourt near Chipping Norton in the Cotswolds gave me an opportunity to return to my favourite wedding venue. 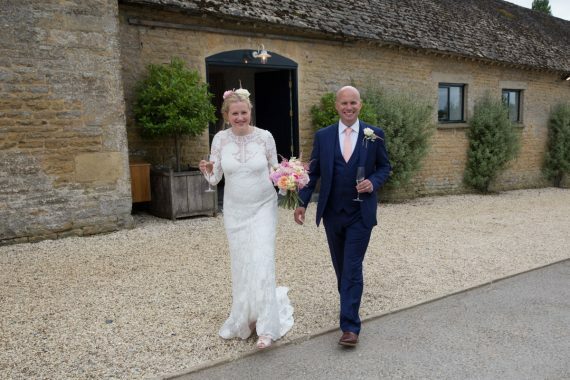 Merriscourt is the home of Thomas Astor and family, situated in the heart of the Cotswolds on border of Oxfordshire and Gloucestershire. 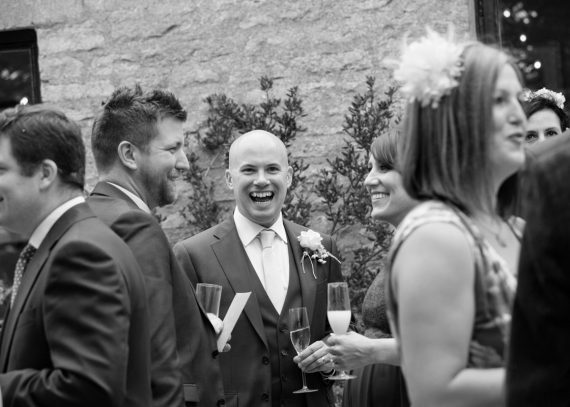 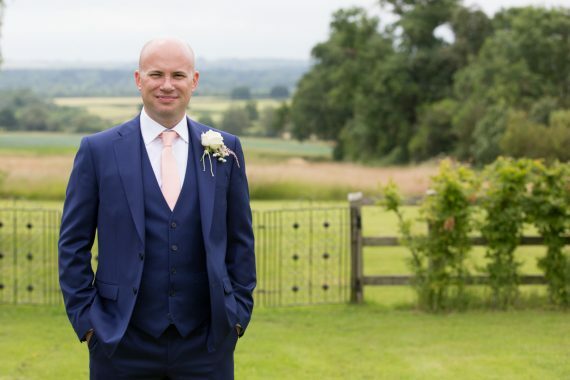 As a wedding photographer, I love the relaxed atmosphere, stunning views and the varied photography opportunities that the venue has to offer. 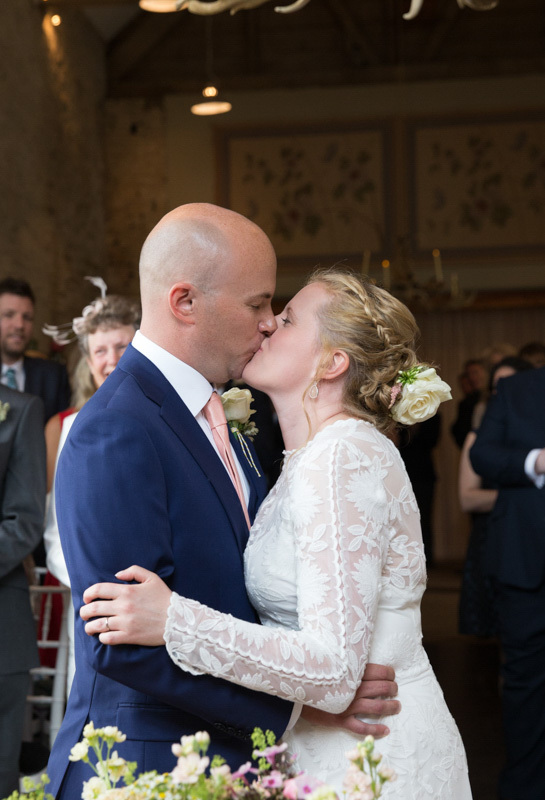 When Jo and Simon approached me to be their wedding photographer, they were struggling to find a venue, I suggested they look at Merriscourt and they obviously loved it too. 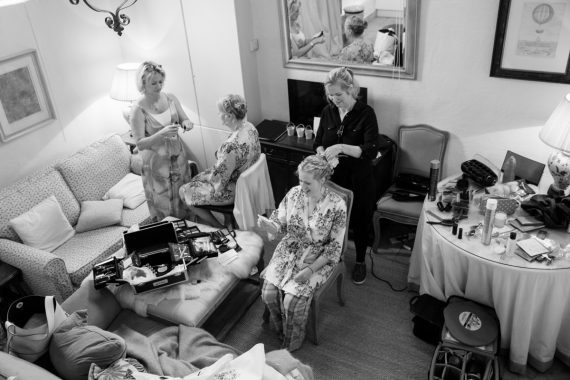 I met Jo and her bridesmaids in the morning in the Pump House, a cottage in the grounds where hair and make up were in full swing. 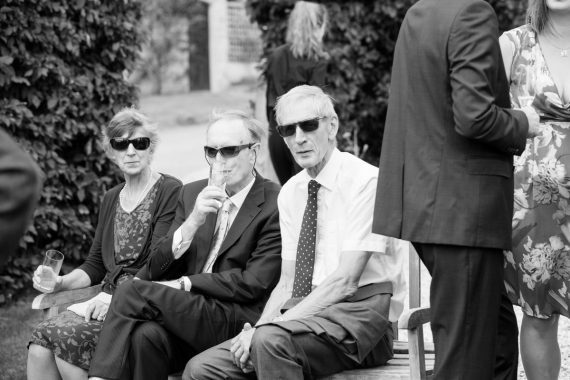 I always love this part of the day, I shoot in pure documentary photography style throughout this time, just observing and capturing what is going on. 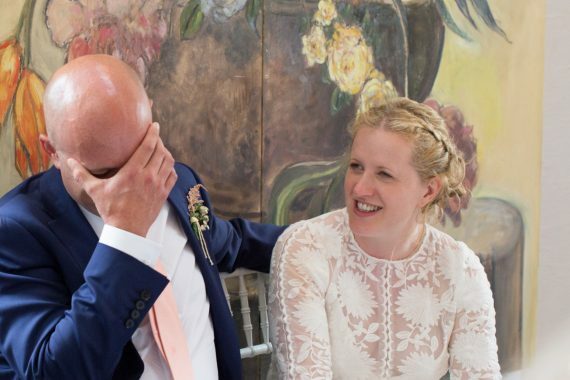 Jo had planned to give a speech and as she practiced this, we all agreed it was hilarious. 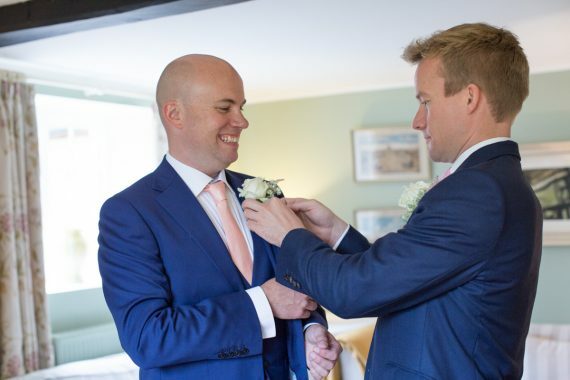 Simon and his family were getting ready in the Old House, another property on the Merriscourt site, just a short walk away. 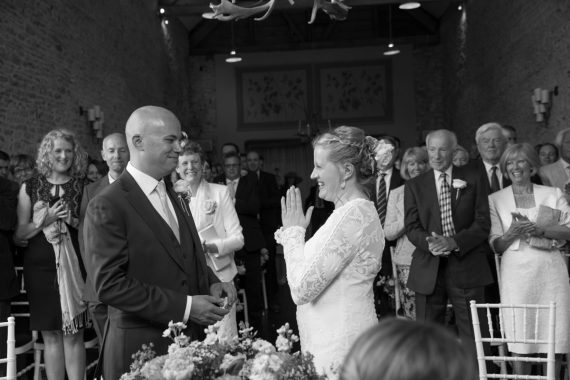 I also have to make sure that bride and groom do not see each other at this stage! 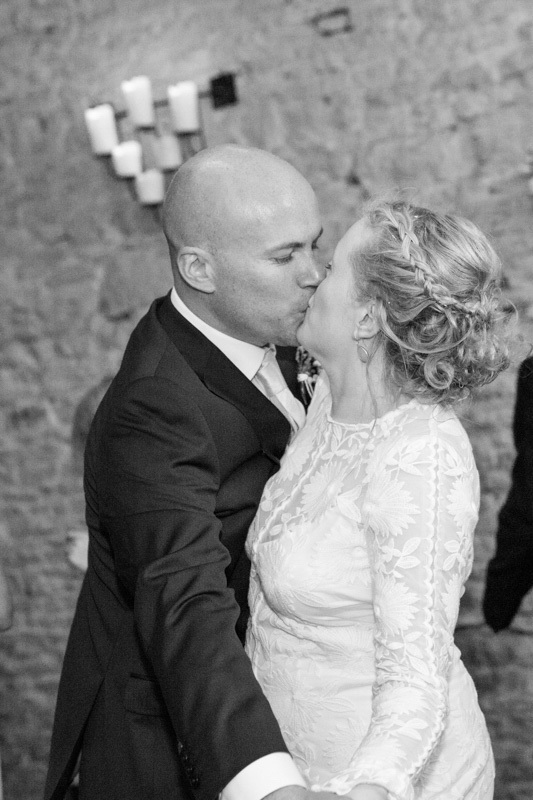 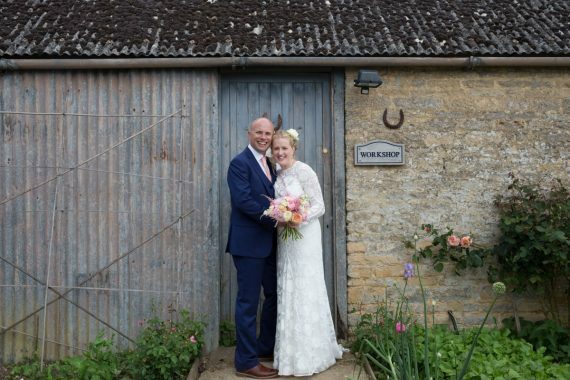 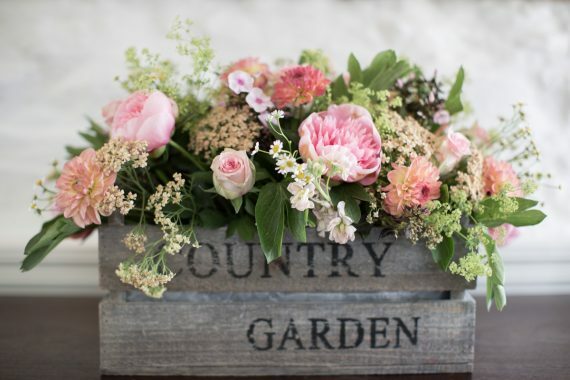 The wedding was in the Stone Barn and Jo and Simon had chosen rustic flowers by Sweet Pea Floral Design, a very creative florist from Great Tew. 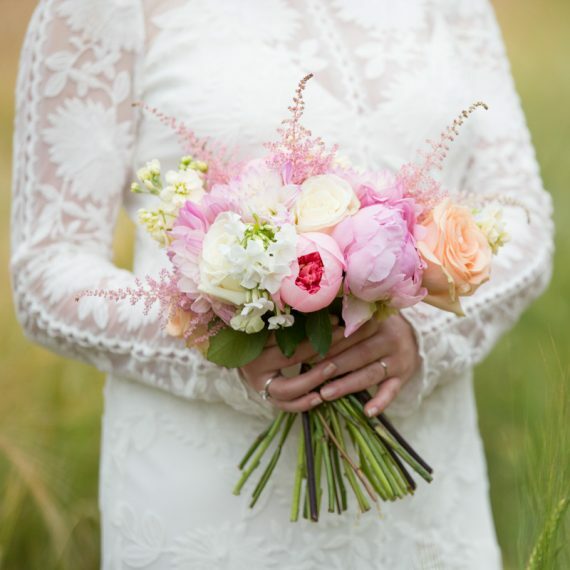 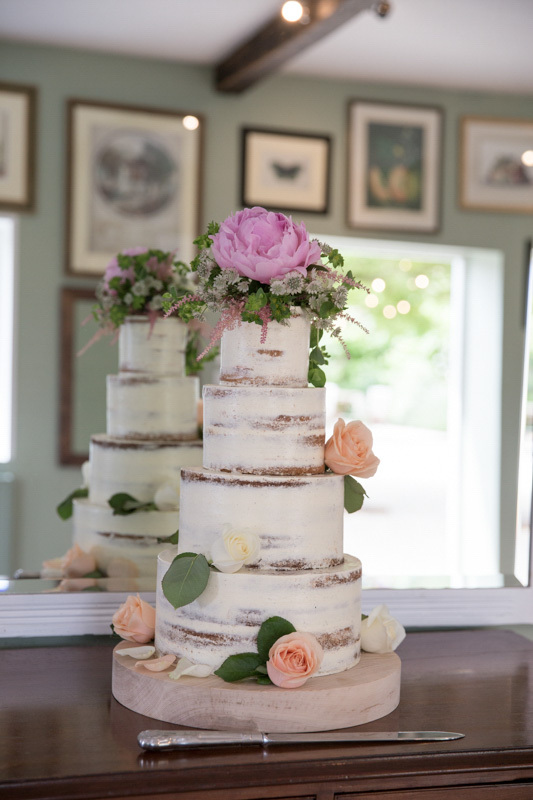 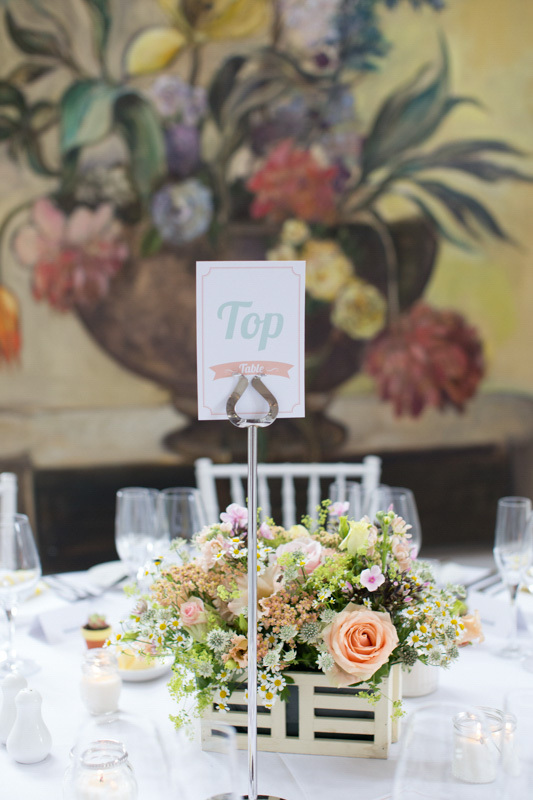 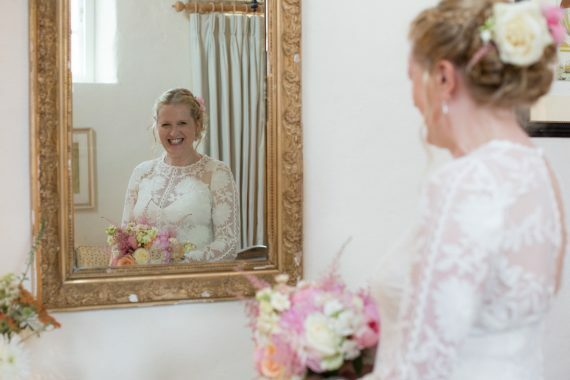 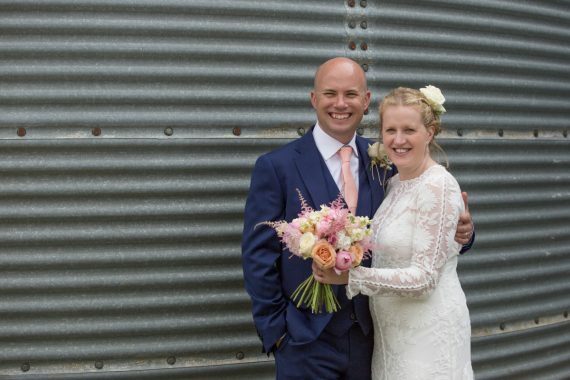 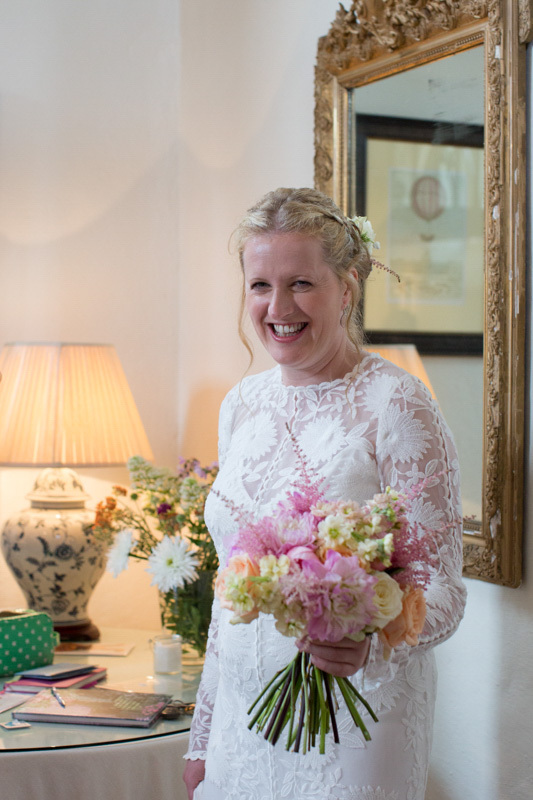 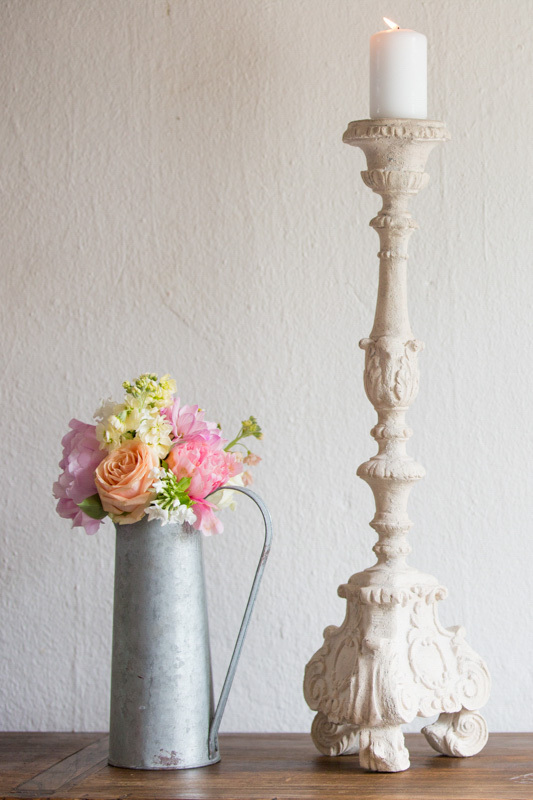 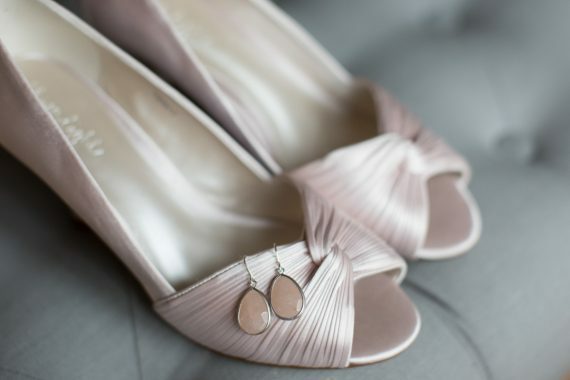 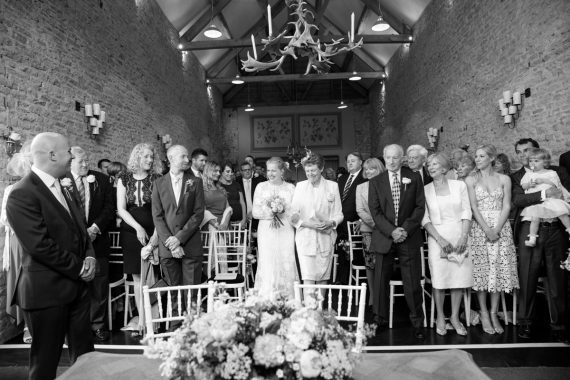 Her flowers were beautiful and suited the rustic wedding that Jo and Simon had created. 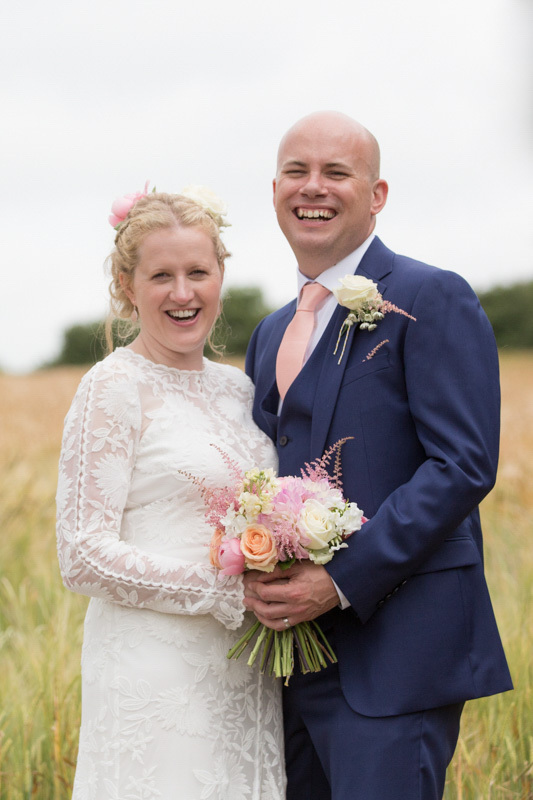 There were tears when Jo walked down the aisle towards Simon, they are such a lovely couple and so happy together. 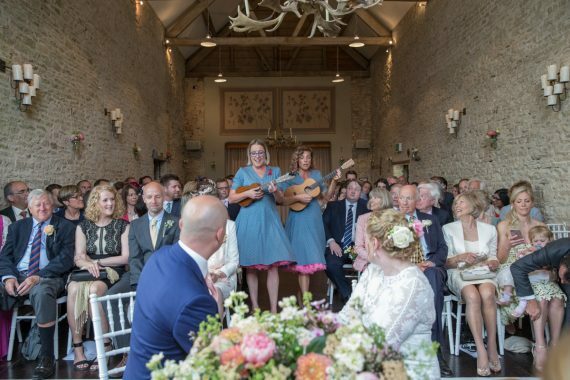 Highlights from the service were the entrance of The Daisy Belles, a vintage, swing trio who had come all the way from Derby and seeing Jo’s excitement when the registrar announced they were husband and wife! 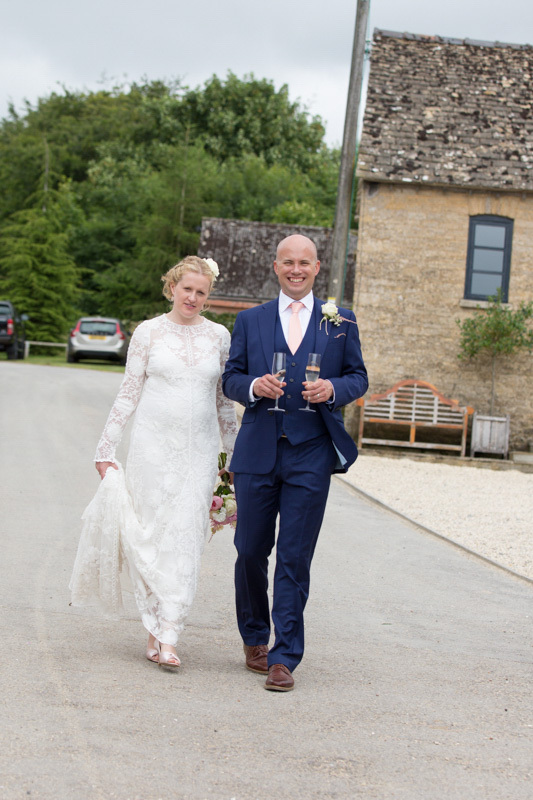 Jo and Simon, liked my relaxed and natural approach to wedding photography. 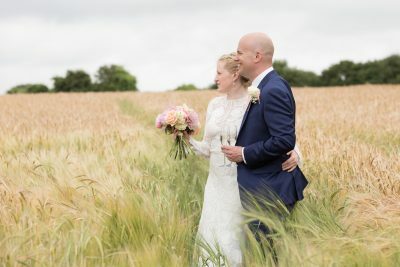 After they had enjoyed a glass of champagne with their family and friends, we headed off around Merricourt for the wedding photographs. 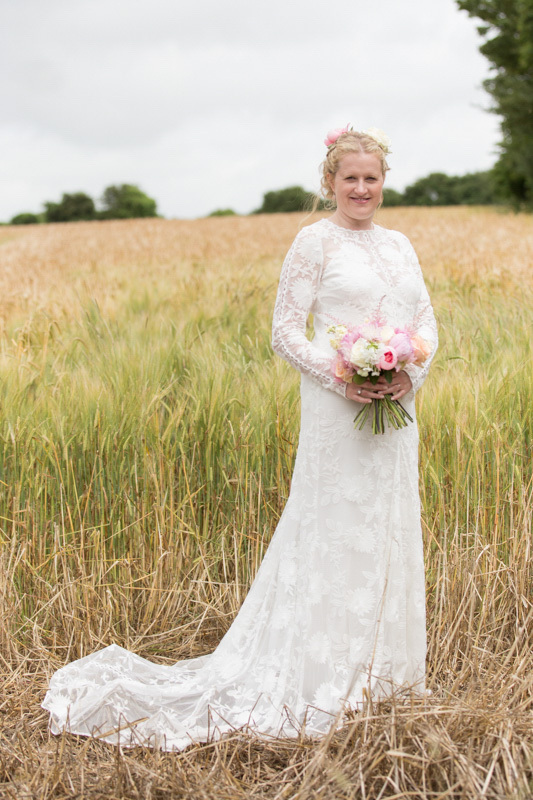 One of my favourite images from their gallery was taken in the fields at the back of the site. 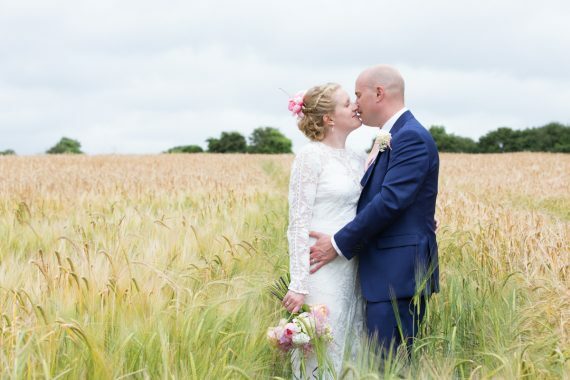 The grain silos, potting shed door and quirky caravan also are great for wedding photography. 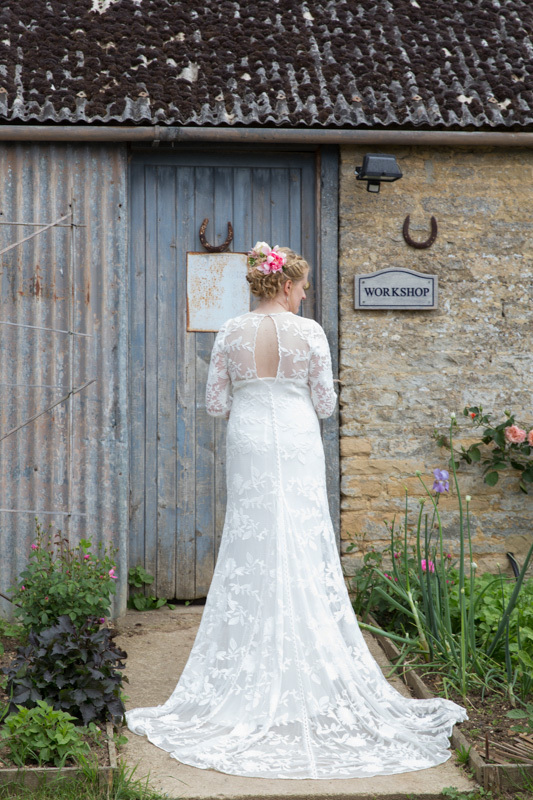 I hope I have the opportunity to return to the Cotswolds for another barn wedding at Merriscourt, and if you like my style of photography, please do get in touch.